A Full Day Island Tour with plenty of stops for you to take in the stunning scenery, many attractions and historic landmarks on the island including Corbiere Lighthouse, St Brelade Bay, Greve de Lecq, Mont Orgueil Castle and much more! Jersey Bus & Boat Tours – All our tours offer an informative and entertaining commentary, we have a range of Vintage buses and luxury coaches. Please navigate through our website and book some of our tours to the best attractions in Jersey. We are here to make your stay on our beautiful Island a memorable one! A guided tour of the derelict German bunkers and gun emplacements. Download the tour. Originally known as the New Castle, it was named by Sir Walter Raleigh (who was the Governor of Jersey from 1600 to 1603) in honour of Queen Elizabeth I.
Download the tour. Construction of the castle began in the early 13th century, when King John lost control of Normandy and the Channel Islands suddenly found themselves on the edge of a war zone. Download the tour. The 6,000-year-old burial site at La Hougue Bie is considered one of the largest and best preserved Neolithic passage graves in Europe. Download the map. Download the tour. The wars between the French and the English have played a major part in Jersey’s history. 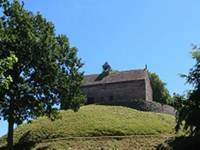 This guide traces the development of Jersey’s historic fortifications. Download the map. Download the tour. Our coastline is dotted with harbours and havens and, as we explore this maritime landscape, you will learn about the Island’s once thriving shipbuilding industry. Download the map.